When it gets cold outside, it can be hard to get enough exercise. One way to make sure you get enough physical activity (60 minutes a day) is to go to the gym! Did you know that if you’re under 18, you can sign up to use the New York City Recreation Centers for free? Click this link to learn more. Signing up is easy-all you have to do is fill out this registration form and bring it to a recreation center near you. 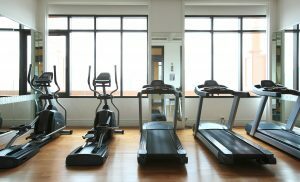 When you join, you get access to weight rooms, cardio rooms, free fitness classes, gyms and indoor tracks, indoor pools, and other indoor spaces where you can exercise for free. There are locations in all five boroughs, click here to find the one that’s closest to you. Getting enough exercise is not only good for your physical health, it also helps you stay happier and focus on important tasks. Happy exercising!